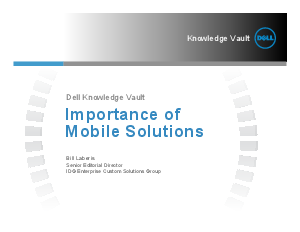 IT professionals know that mobile solutions are important, but what are the most important factors in evaluating mobile offerings? Download this report and find out how technology professionals rate factors such as security, integration with existing infrastructure, ease of use and so on. Also, discover how IT organizations plan to spend their mobile budgets.